Do check to see if anyone is injured, and if so, call for medical help. Do call the police. They will make a police report of the facts of the accident, which may be critical to having a strong insurance claim and lawsuit. Do take a picture of the scene if you have a camera. Do exchange names, addresses, telephone numbers, license plate numbers, and insurance information with other drivers and police. 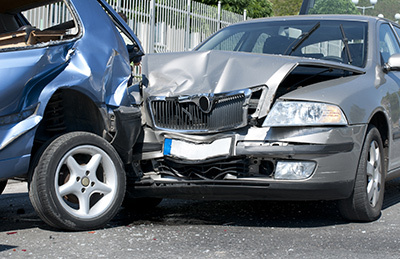 Do write down the make and model of each vehicle involved in the accident. Do, as soon as possible after the accident, write down the facts surrounding the accident, such as the time, date, location, weather conditions, and how the accident occurred. Do call your insurance agent and report the accident. Don’t get into a detailed discussion of how the accident occurred or who is at fault until you have spoken with a lawyer to receive initial legal advice. At Beck Law Offices, such initial legal advice, based upon our almost 40 years of representing accident victims, is always at no charge to you. Beck Law Offices can explain the law to you and advise you of your legal rights and obligations. We can also help determine who was at fault and may help you get compensation for your property damage and personal injuries. Don’t discuss how the accident happened with other drivers or witnesses. Don’t get involved with any arguments with other drivers or witnesses. Don’t leave the accident scene unless medical personnel need to transport you, or until the responding officer tells you that you can leave.